Had an accident? Need chassis straightening or rust repairs? A1 Smash Repairs are your Collision Repair Specialists specialising in accident repairs and custom automotive paint work. Our team of panel and paint experts all have 24 years plus experience and all our workmanship is guaranteed. We are accepted repairers for all major Insurance Companies. FREE loan cars, valet service and pick up/delivery available. Call us now to speak to our friendly team or pop in and see us today for free, honest, expert advice. 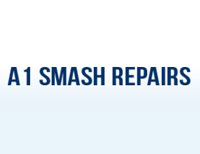 A 1 Smash Repairs offers a huge array of services at the lowest possible prices in the region. We are your first and last stop when you need high-quality work done on your beat-up vehicle.